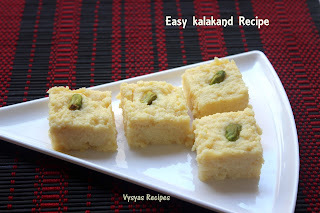 Kalakand is an Quick & Easy Sweet Recipe,made with two Ingredients Condensed Milk & Paneer. It is an Rich Indian Milk Cake originated from Rajasthan. In traditional method Milk is Simmered in low flame till it thickens, then sugar is mixed with it.you can top with dry fruits. 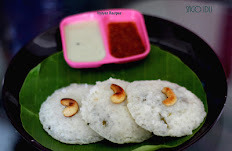 In Latest Version, Condensed milk is mixed with Paneer, & cooked on low flame, till it thickens, then it is spreaded on a tray & topped with dry fruits.Then we can cut into desired shape.We can make this sweet within 15 minutes.It is made during festival recipes like Holi,Navratri & Diwali. Condensed Milk - 1/2 tin(200 gms). Cardomom Powder - 1/2 tsp or 3 - 4 crushed Cardomom. Pistachios - 8 - 9. Ghee - 1 tsp to Grease. Grease the plate with Ghee & keep aside. 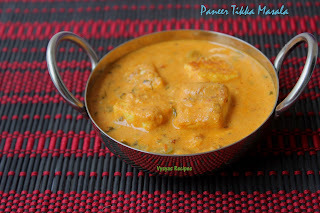 if it is store bought Paneer,thaw the Paneer then crumble it or Grate the Paneer. I chopped the Paneer into cubes & I used blender to crumble the Paneer. 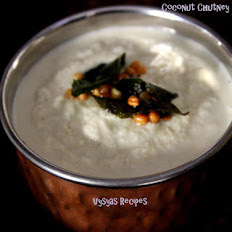 Take a thick bottomed kadai or Nonstick Pan, add Condensed Milk & crumbled Paneer.Mix well. 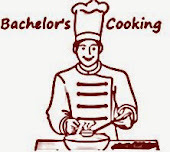 Now switch on the flame, cook on low flame, keep stirring, till it leaves the sides of the pan. Then add cardomomom Powder,give a quick Mix. Then spread the mixture over the Greased plate,with 1 inch thickness,draw the lines as desired when it is little warm.Decorate with Pistachios on each squares. Serve, when it is Cooled down completely. Mix well, the Condensed Milk & Paneer,before switching on the flame to avoid sticking. soak 2 - 3 strads of saffron in warm milk for 20 minutes,then add with condensed Milk,for additional flavour. you can also add 2 drops of Rose water. 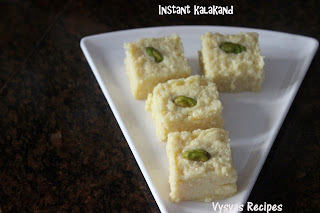 you can refrigerate the kalakand for 2 days. 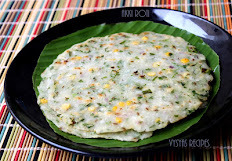 you can also add chopped Badam for decoration. I love kalakand and your recipe looks easy. My favourite diwali dessert..........love it.